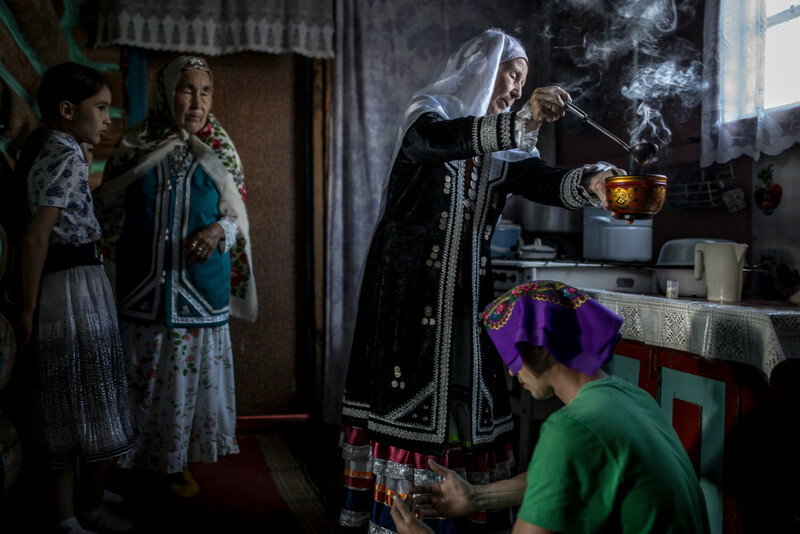 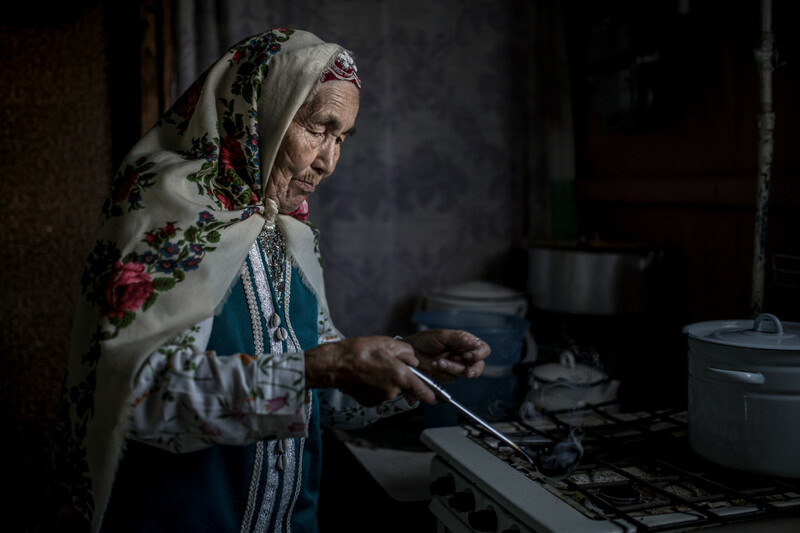 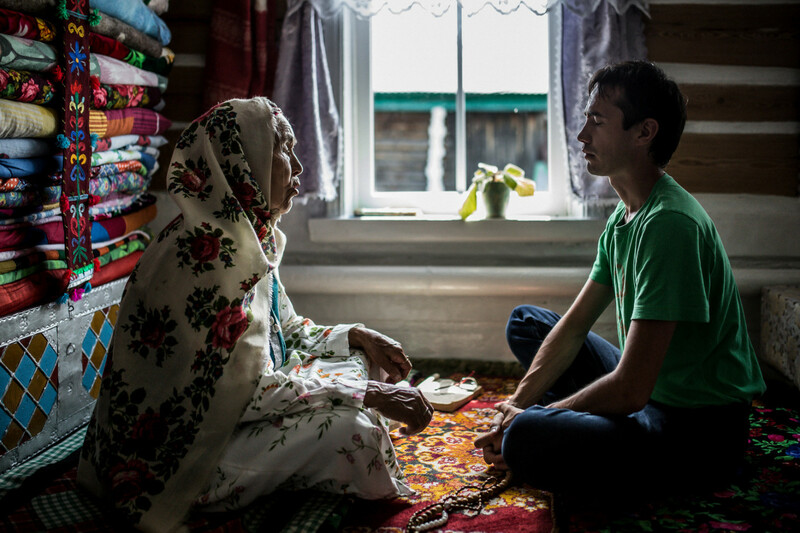 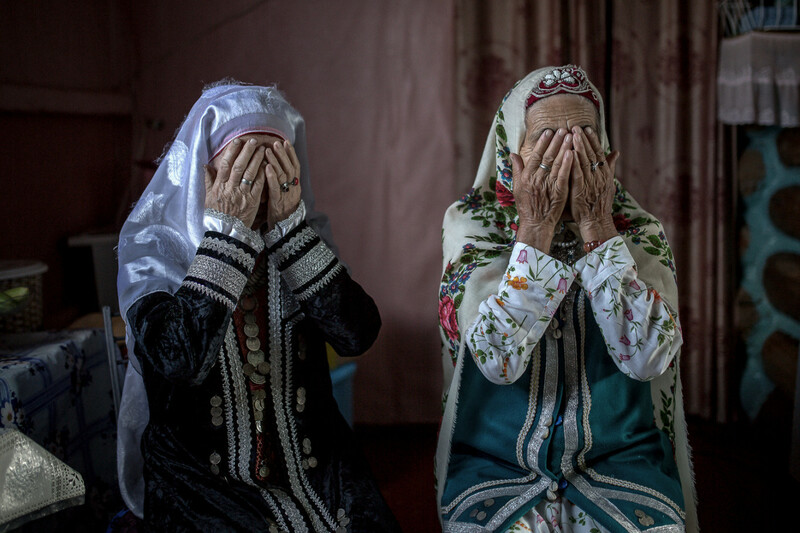 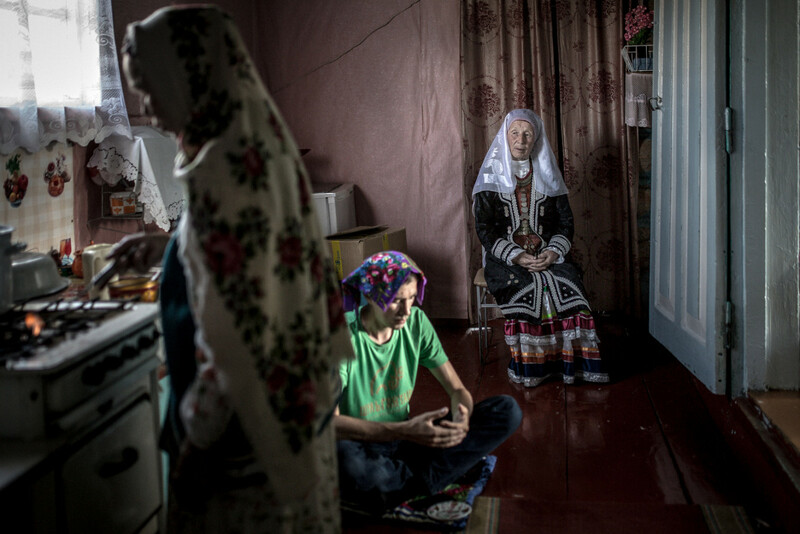 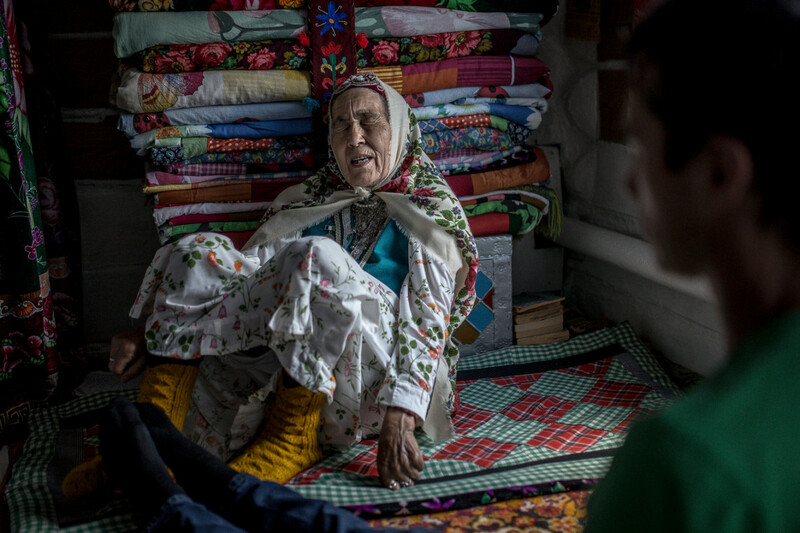 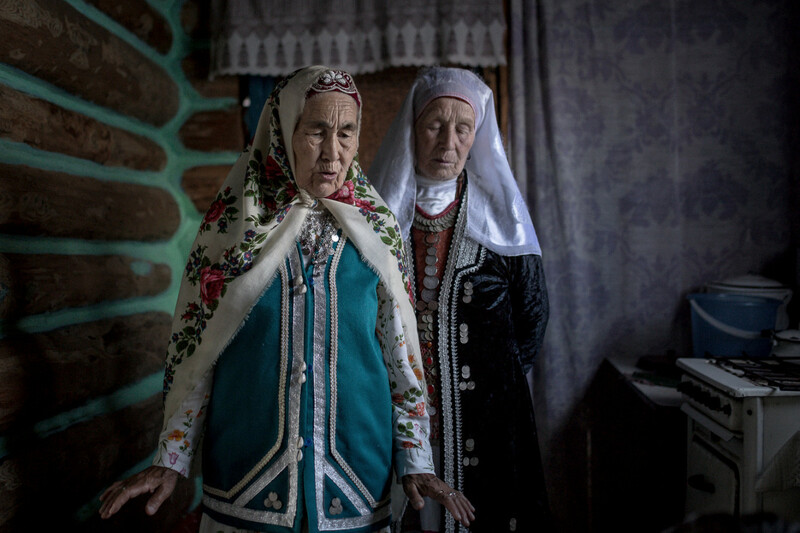 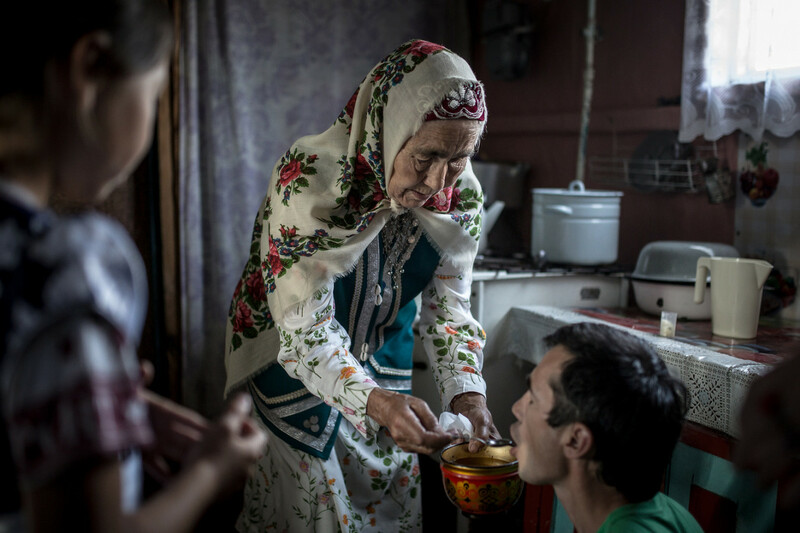 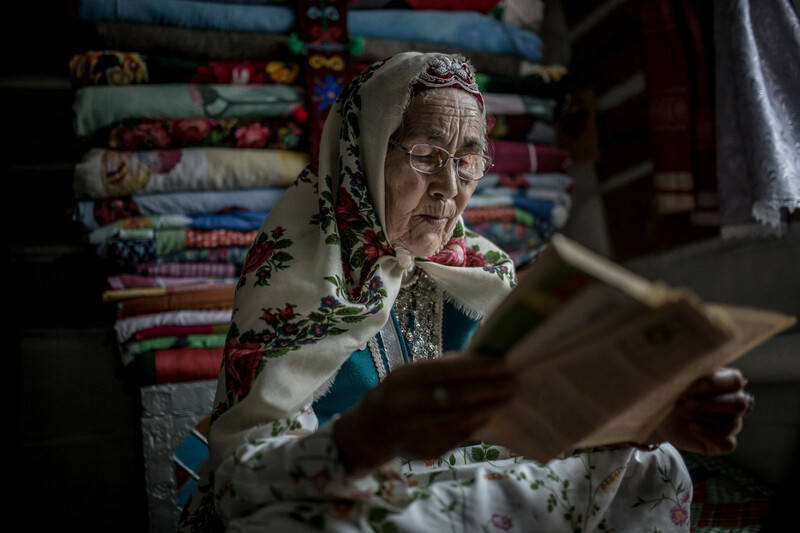 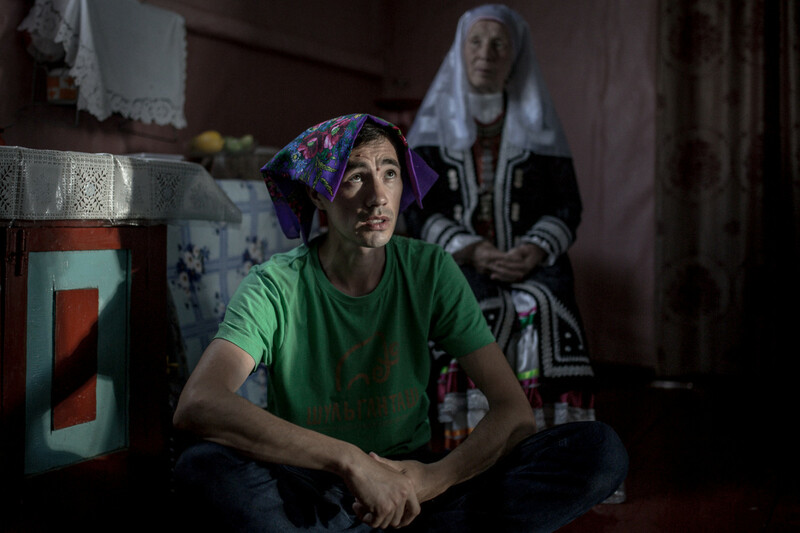 An elderly Bashkirian woman, Vasilja is performing an ancient protective ceremony on a young man, Aybulat with her helpers in Saitkulov in South Ural. 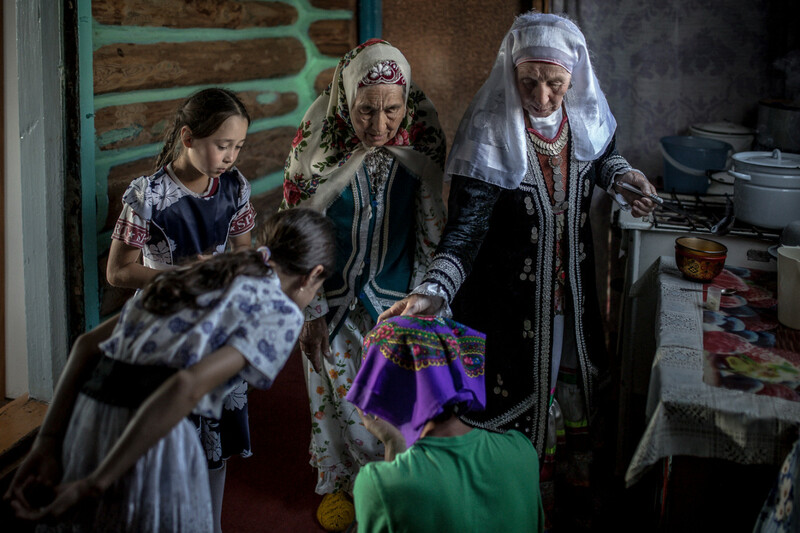 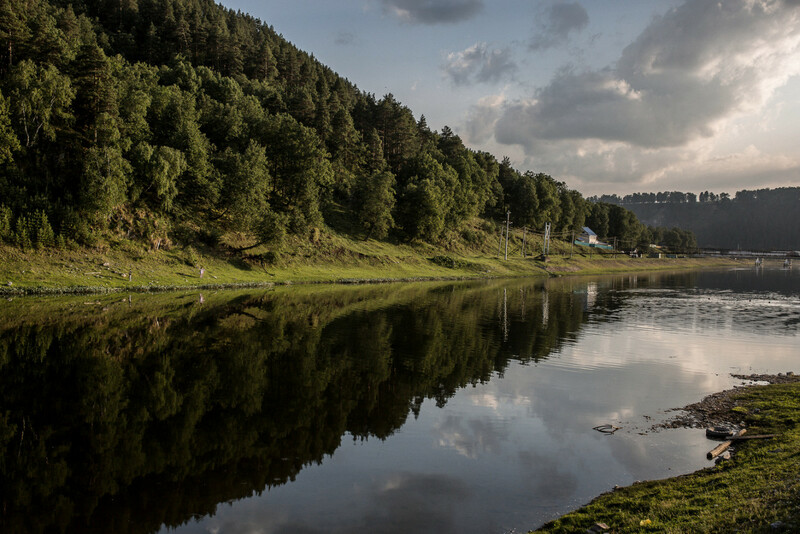 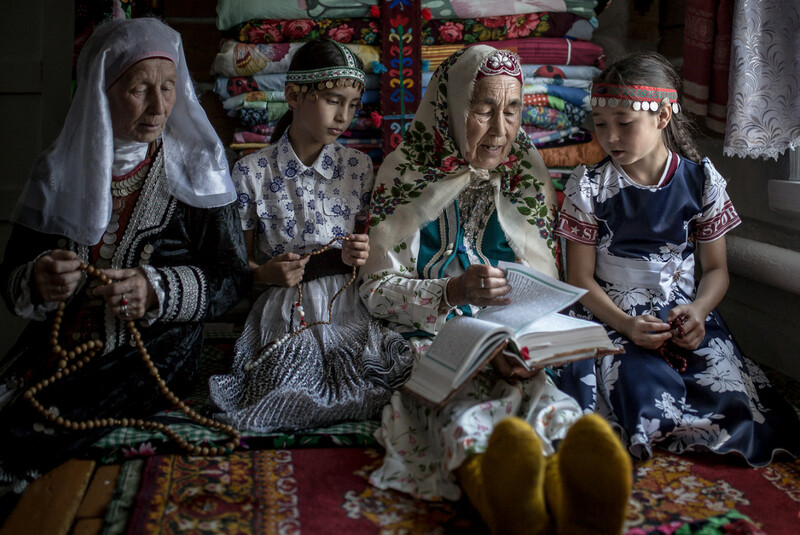 The Bashkirs have been living in this part of the Ural since the 9th-10th century and though they are basically Muslims, they practise and care about the old folk traditions also. 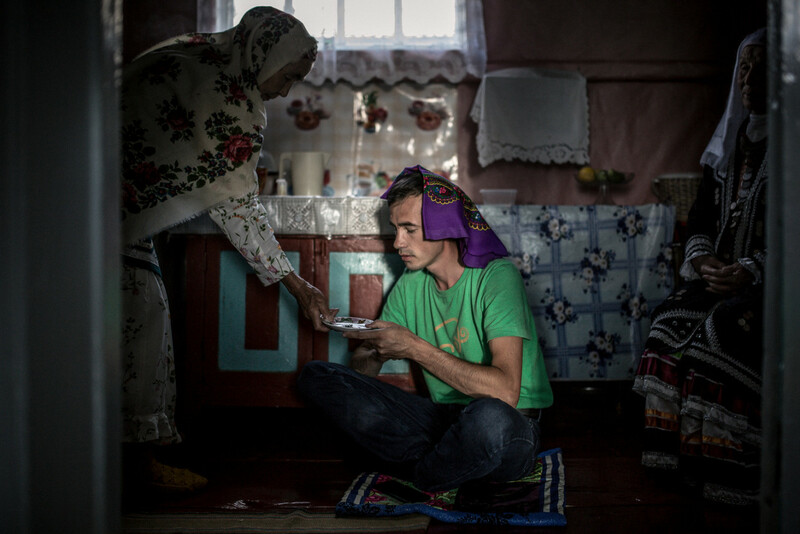 The ritual itself is applied when the person in question lost his luck or is very scared or terrified from something. 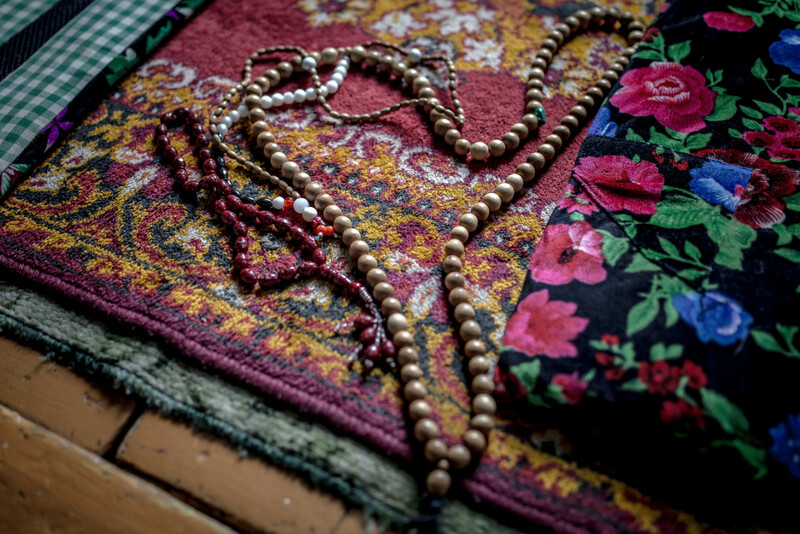 The process is about the spiritual adaptation, transformation and it derived from their belief that the spirit originates from metals. 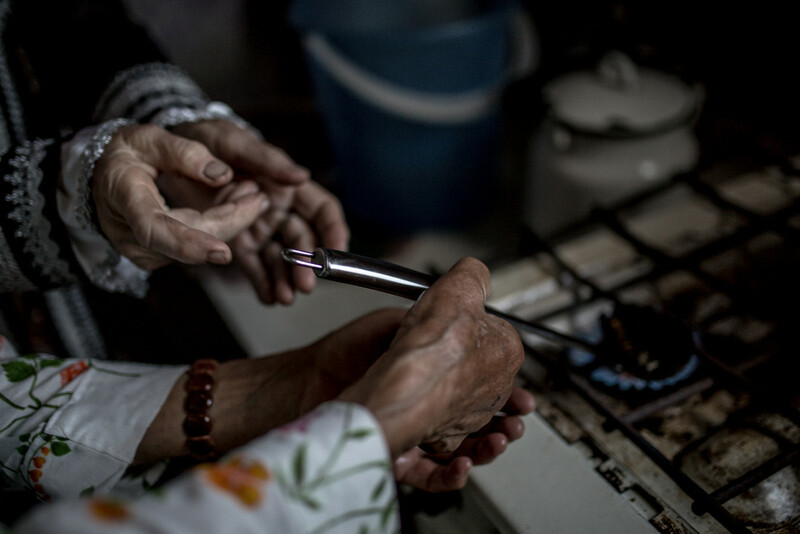 They heat metal several times during the ceremony, until it can be shaped into a circle - then it is the most similar to the shape of the spirit.